This question is public and is used in 247 tests or worksheets. 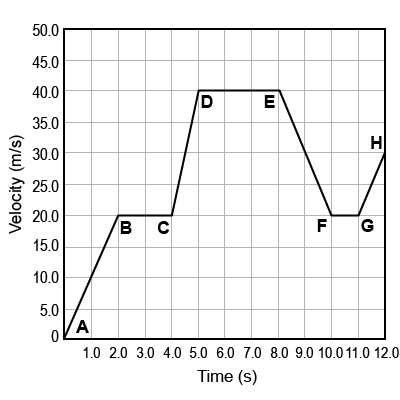 A velocity-time graph of a moving object is shown. Which statement best describes the object's velocity between points D and E? The object's velocity is increasing. The object's velocity is decreasing. The object's velocity is constant.